Join Singletracks.com – Mountain Bike Trails & Reviews on a ride through some of our favorite trails in North Georgia! This year, we're changing it up! We're offering a ride on both Saturday & Sunday. 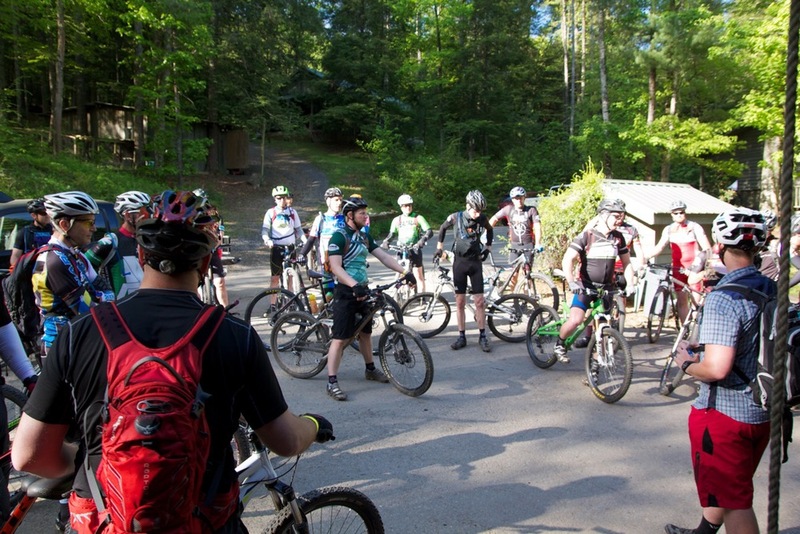 Both rides will begin and end at Mulberry Gap Mountain Bike Getaway during the weekend of Saturday, March 31 and Sunday, April 1. Lunch & beer are included with registration. Both days are long, challenging and have plenty of climbing so come prepared! Sign in will be held from 9:15 - 9:45 am. We will have a pre-ride meeting at 9:45 am and will roll out at 10:00 am. We invite you to hang out each day after the ride. 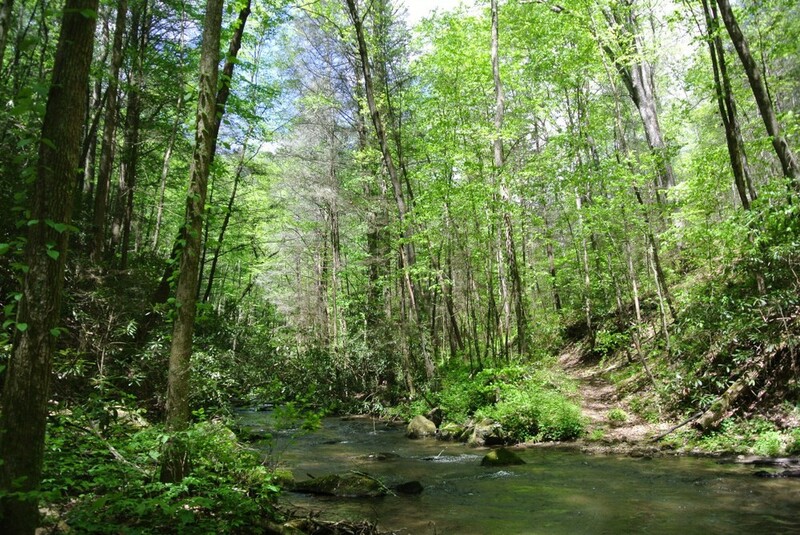 Cabins and camping available for lodging at Mulberry Gap, if desired. A two-night minimum is required. Day 1: The typical route; Mountaintown Creek, Bear Creek, and Pinhoti 1 & 2 (32 miles & 4,700 feet of elevation gain and loss). We'll have some awesome swag for each day! Maps for both routes will be provided at check-in on Saturday morning. This event is a group ride, not a race. Ride as fast or as slow as you want. We encourage you to ride with at least one partner, but you also need to be self-sufficient. Carry all the water, food, and tools you need with you. 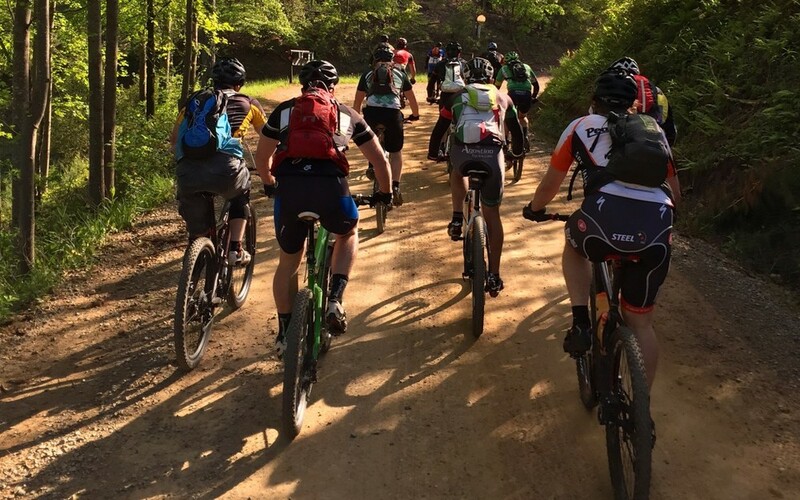 This is a Fundraiser for the North Georgia Mountain Bike Association. Registration -- Proceeds will be donated to our local chapter and trails. We appreciate your support! Adult - $45.00/day or $75.00 for both days -- includes parking, access to bathhouse facilities, showers, Wi-Fi, and lunch (not optional). Child - $35.00/day or $60.00 for both days -- includes parking, access to bathhouse facilities, showers, Wi-Fi, and lunch (not optional). To sign up for Saturday only, please select 3/31/18 as your check-in and check-out day. To sign up for Sunday only, please select 4/01/18 as your check-in and check-out day. To sign up for BOTH days, please select 3/31/18 as your check-in and 4/01/18 as your check-out. To add a cabin, campsite, or meal to your booking, please select "Add Item" and choose the selected item(s) you wish to add. If you have any trouble, please give us a call at 706-698-2865.